WASHINGTON, D.C.—Following the State of the Union, House Republican Whip Steve Scalise (R-La.) 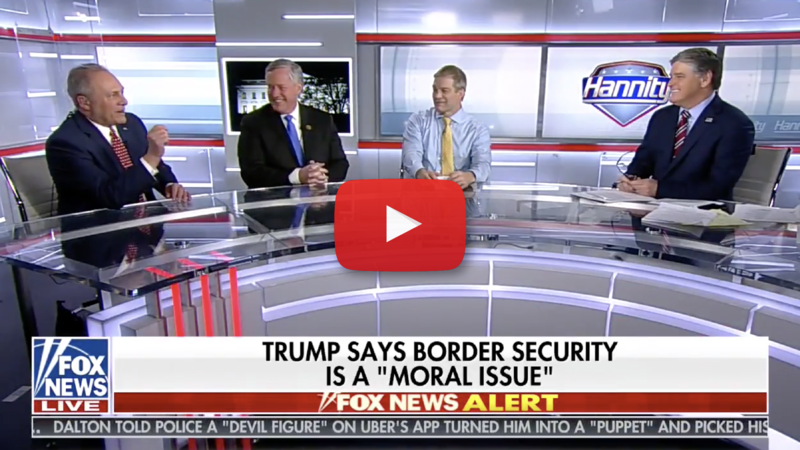 joined Fox News Channel’s Hannity to share his reaction to President Donald Trump’s State of the Union address. Whip Scalise highlighted the President’s message of unity and American strength that was symbolized by the World War II veterans and Holocaust survivors in the gallery. Whip Scalise then discussed the President’s commitment to protecting life and his challenge to Congress to rise above partisanship for the benefit of the country. Today, Whip Scalise introduced a resolution providing for floor consideration of Born Alive legislation. After 30 legislative days, Whip Scalise will file a discharge petition that would force a vote in the U.S. House of Representatives upon being signed by a majority of members of the House. “It was a great contrast from what we saw under Barack Obama… Millions of people had given up looking for work. People thought that we could never be that great nation again. And then, there he has in the gallery three men who stormed the beaches of Normandy. “The President talked about greatness and he challenged us to be that great nation again.